posting – Notes by Kim. 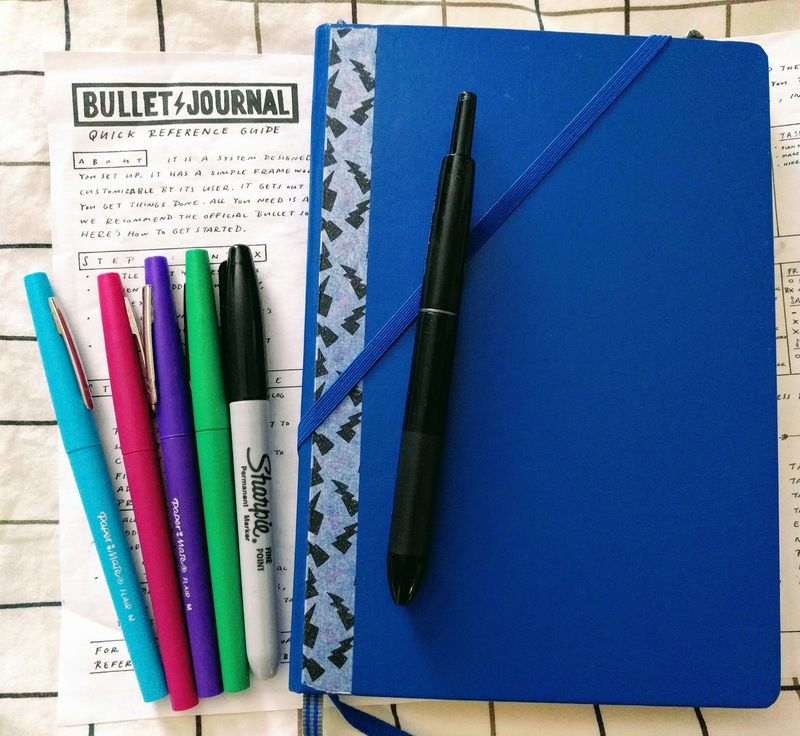 I’ve started bullet journaling and it’s really helping me prioritize my daily tasks so I’m more productive. I too often find myself sticking things I need to get done or want to accomplish on arbitrary lists, or in tracking apps that may or may not get much attention. Now I’ve been writing out plans daily, and doing the work of prioritizing. This was on my list today: “BLOG POST – SOMETHING.” As soon as I hit “Publish” I get to experience the great satisfaction of checking off that task in my journal. Happy New Year! I tend to question almost everything… quite a lot sometimes, which is why it’s hard for me to post consistently on a blog. I can usually talk myself out of it. Lately, I’ve been thinking of posting and then getting stuck because half of me really wants to write about a movie I liked or a recipe I tried, but then the other half of me is frozen in after-election despair wondering, “Is there anything I can share that won’t feel inappropriately lackluster?” Not a helpful thought, I know. I’ve dealt with anxiety before, but never this constant or concrete. It’s a struggle. But the attitude that we should give up on sharing the stuff of everyday life because there’s work to be done is not helpful. Sharing is part of the work… Publish!